Tradition leads most readers to expect a wartime story to be dramatic, even melodramatic. 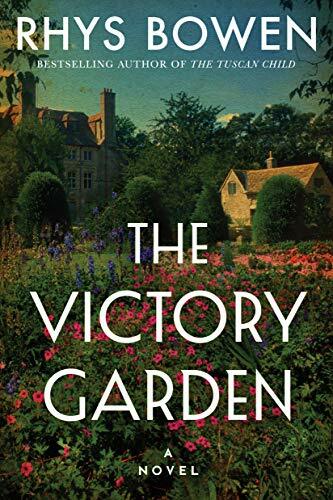 The Victory Garden, set in World War I–era England, delivers drama aplenty for Miss Emily Bryce. Her fiancé is shot down and killed in France immediately after they get engaged, her parents disown her, and she suffers hardships and poverty while trying to build a new life from scratch. But Emily is a realist, and she squarely faces cause and effect. When she chooses to follow her heart, knowing that will cause severe social consequences, she accepts those consequences and follows her heart anyway. When she finds herself penniless and homeless, she pursues all leads, no matter how slim, until they take her someplace where she can make the best of it. The goodness of her heart leads her to other good people who help each other and together form something better. Emily, in other words, is one of those people who land on their feet after taking a big sock on the chin from life. Over and over again. Because of her spirit, her dramas happen more outside her than within her. This creates a strong moral character easy to root for. Yes, Emily grieves; she struggles; she wants to give up. But she never does. This is critical because she’s a pampered and protected child of the British titled class, and her materialistic family is obsessed with its own importance. They do their best to make her one of them—and fail. The lack of intensely wrought emotional highs and lows in this novel might tempt some people to think it’s not a good novel. But it’s a perfectly fine one, simply a workmanlike character study of one woman and her friends adapting to horrific times. The author is well versed in the WWI and II wartime eras and does a solid job presenting the kinds of problems faced by the people who are left behind. In WWI, in particular, the demand for soldiers, and their death and injury toll, was so high that most able-bodied men were removed from the country for years—in many cases, forever—leaving life to be carried on by women and exempt men and children ill prepared to fill the void. Emily belongs to the folks left behind who have to cope, and her story exemplifies the saying, “When one door closes, another one opens.” Her story also underscores that a person must not only be able to perceive those openings and closings, but also be willing to act—a lesson many of us need to learn, or be reminded of, decades after “the war to end all wars” (that didn’t). Altogether, The Victory Garden is an interesting read that keeps readers turning pages without needing to do so breathlessly, and also without needing a hankie. It’s a perfect book for people who just want to read an intelligent, informative, and satisfying story.